“CANAKKALE BIENNIAL: Coordinates” – A selction from the 3rd and 4th International Canakkale Biennials. “CANAKKALE BIENNIAL: Coordinates” follows the conceptual framework generated by the 3rd and 4th International Çanakkale Biennials, addressing the historical memory which determines Çanakkale’s actual social and cultural texture. The exhibition brings together works that examine universal phenomena such as militarism, mythologies & micro-macro narratives and the monumentalization of history, within the unique context of Çanakkale. 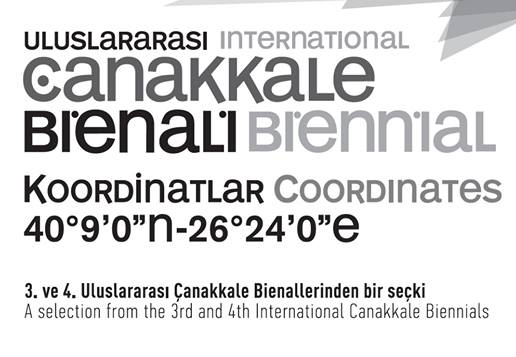 Find more information about Canakkale Biennial here.